The growth of Big Data, especially personal data dispersed in multiple data sources, presents enormous opportunities and insights for businesses to explore and leverage the value of linked and integrated data. However, privacy concerns impede sharing or exchanging data for linkage across different organizations. Privacy-preserving record linkage (PPRL) aims to address this problem by identifying and linking records that correspond to the same real-world entity across several data sources held by different parties without revealing any sensitive information about these entities. PPRL is increasingly being required in many real-world application areas. Examples range from public health surveillance to crime and fraud detection, and national security. PPRL for Big Data poses several challenges, with the three major ones being (1) scalability to multiple large databases, due to their massive volume and the flow of data within Big Data applications, (2) achieving high quality results of the linkage in the presence of variety and veracity of Big Data, and (3) preserving privacy and confidentiality of the entities represented in Big Data collections. 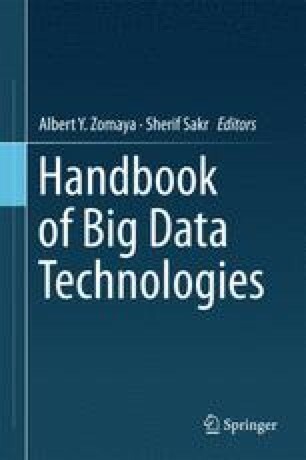 In this chapter, we describe the challenges of PPRL in the context of Big Data, survey existing techniques for PPRL, and provide directions for future research. This work was partially funded by the Australian Research Council under Discovery Project DP130101801, the German Academic Exchange Service (DAAD) and Universities Australia (UA) under the Joint Research Co-operation Scheme, and also funded by the German Federal Ministry of Education and Research within the project Competence Center for Scalable Data Services and Solutions (ScaDS) Dresden/Leipzig (BMBF 01IS14014B).